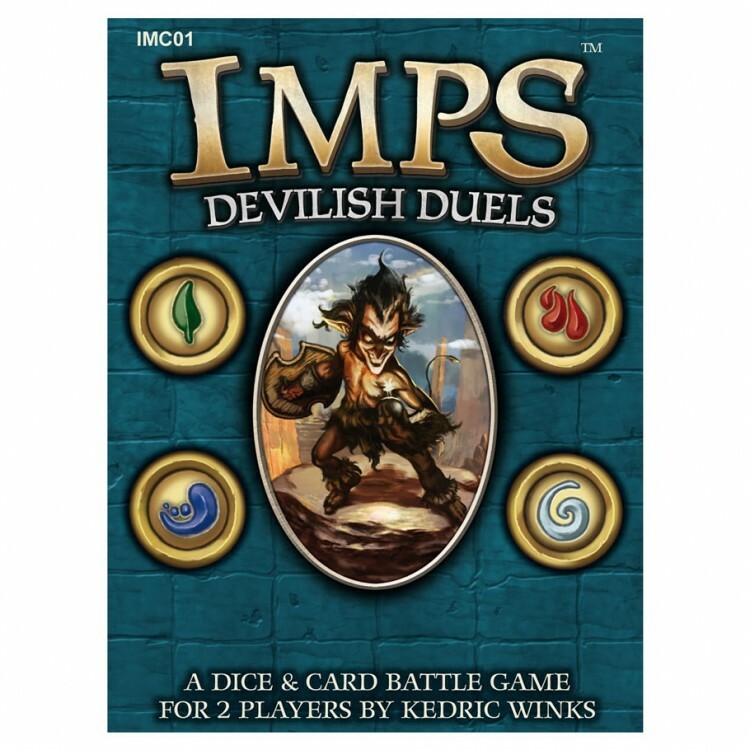 Battle your friends in this fun dice dueling game with added Imps! 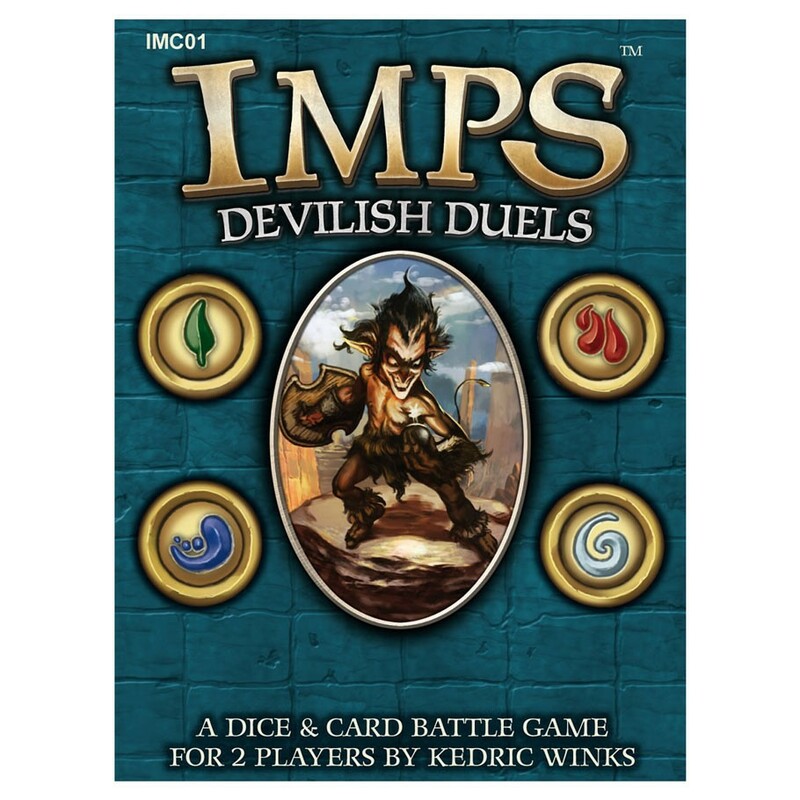 Imps Devilish Duels is a hybrid dice & card battle game for two players. Players lead a team of imps, each with an elemental power. You must bring together the best combination of imps for your chosen strategy. Roll the dice, then compete in four elemental trials. Losing means banishing your imps and dice until one player stands victorious!